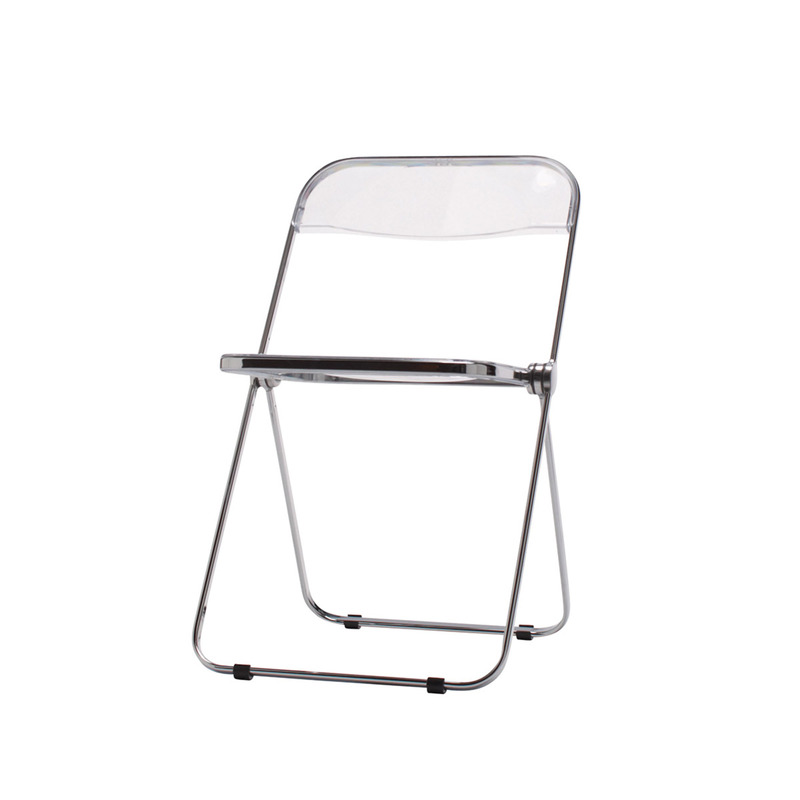 The Plia Chair revolutionized the concept of folding chairs when it debuted at the Fiera del Mobile in Milan in 1967. So many fair attendees walked off with the lightweight plastic chairs that the remaining samples had to be chained to the exhibit booth. 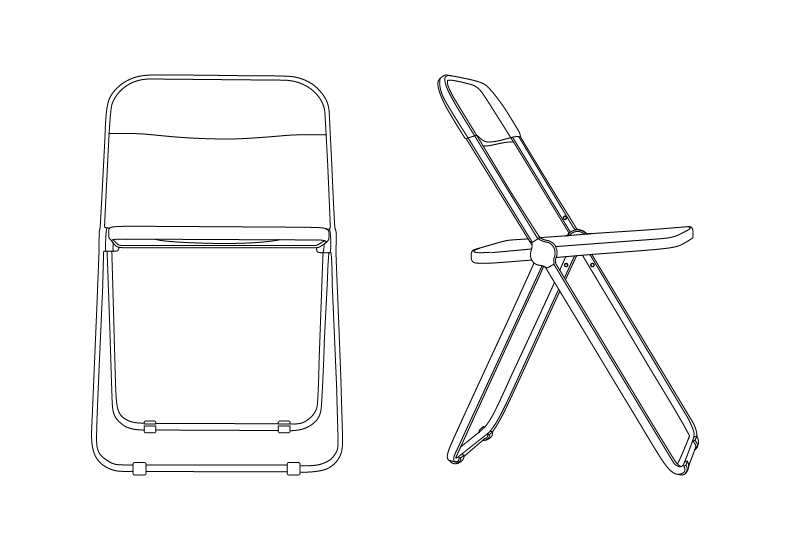 I spent many years in my life as a designer to find the possibility of the right pivots in a chair. The Plia Chair revolutionized the concept of folding chairs when it debuted at the Fiera del Mobile in Milan in 1967. So many fair attendees walked off with the lightweight plastic chairs that the remaining samples had to be chained to the exhibit booth. An X-frame design with roots in ancient Rome and the “drunken lord” chairs of the Ming Dynasty, Plia’s iconic status is based on an ingenious three-disc hinge that allows each of the rotating parts to be joined at a single pivot point. Plia folds and opens easily with one hand movement and be stacked open or closed or hung on wall hooks. Plia is only one inch thick when folded (two inches at the hinge) and is especially suited for cafes, events and informal meetings both indoors and out. 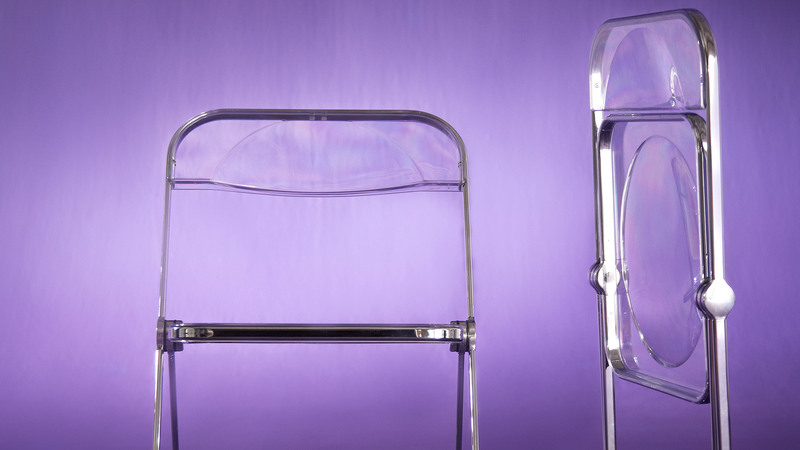 More than seven million Plia chairs have been sold, proving the appeal of its airy combination of chrome-plated tubular steel and translucent plastic. Giancarlo Piretti, born in Bologna, Italy, in 1940 studied at the Art Institute and the Academy of Fine Arts, both in Bologna, before teaching interior design at the Art Institute from 1963 until 1970. In the 1960s he joined Italian design company Castelli as an interior designer of residential and office furnishings. During his 12 years at Castelli, Piretti obtained numerous patents, most of which were chairs, and helped to establish the company’s international reputation in furniture design. From 1984 to 1986 Piretti worked for Castilia, specializing in residential furniture characterized by functional and aesthetic systems. 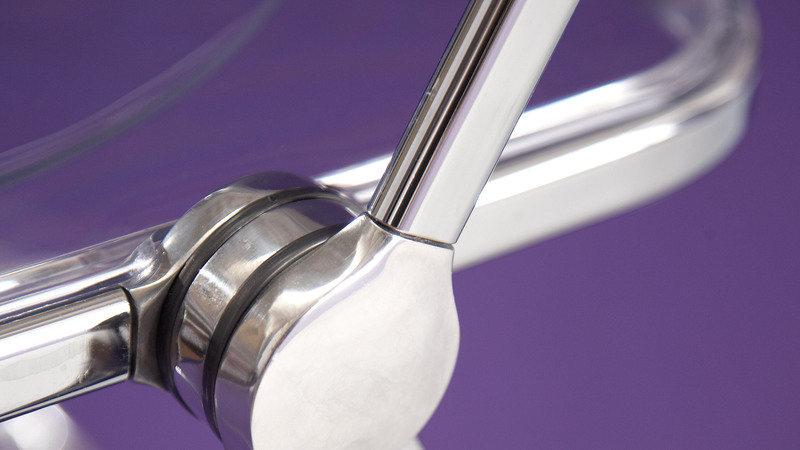 The Plia Chair garnered numerous awards and is his most well-known design. Piretti still lives and works in Bologna with his son, designer Alessandro Piretti.